We need your HELP! ¡Necesitamos su AYUDA! The Latino Partnership has been receiving many requests for assistance recently for various needs for our local Latino community [families with fires, funerals, travel for appointments and legal assistance — a huge variety of family needs]. We have recently developed a Family Assistance Fund especially dedicated to help with these kinds of needs. We hope to be able to provide this kind of support on a larger scale to help meet the growing needs of our community. YOU can help support this fund by donating today! 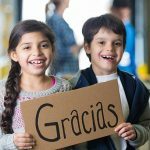 The Latino Partnership is a 501(c)(3) tax-exempt organization so donations are tax-exempt. We THANK YOU in advance for your assistance with this very important resource!